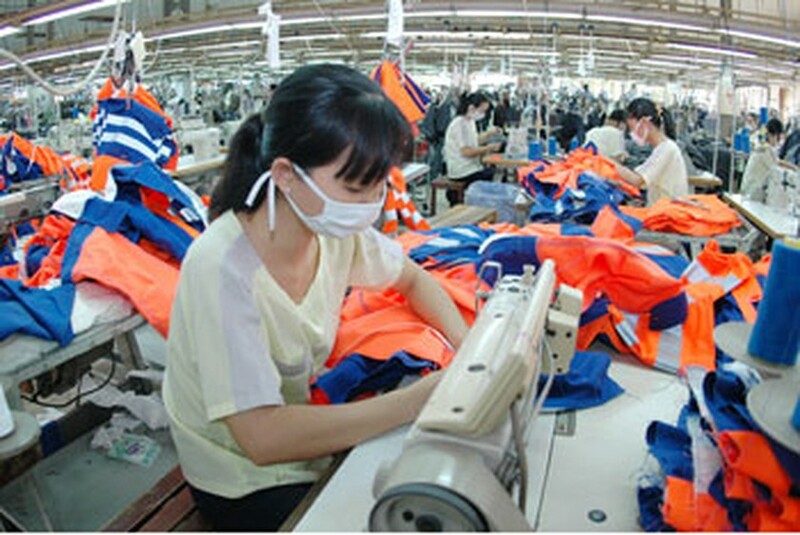 Vietnam 's growth has exhibited a sharp V-shape rebound from the global economic downturn despite a relatively high dependence on exports, according to the 2010 edition of the annual Economic and Social Survey of Asia and the Pacific conducted by the UN Economic and Social Commission for Asia and the Pacific (ESCAP). In 2008, Vietnam 's growth grew at a brisk 6.2 per cent, with inflation hitting 23 per cent combined with a current account deficit running at 11.9 per cent of GDP. In January of 2009, as a result of the crisis, exports fell by more than 20 per cent, and the GDP growth of last year was estimated to decline to 5.3 percent. Vietnamese economy's strong performance during 2009. The growth was forecast to reach 5.8 per cent this year, much lower than the pre-crisis levels of 8 per cent. However, ESCAP still said Vietnam would see a stronger rebound compared to neighbouring Southeast Asian countries due to a large domestic commodity-rich market. According to the survey, in Vietnam and other countries in Southeast Asia sub-region, the large export-driven industrial base, once seen as the source of strength, has become the source of vulnerability in the aftermath of the global economic crisis. ESCAP, therefore, recommended the long-term measure toward a fairer, more balance and sustained economic recovery at the Asia-Pacific level should be focused on creating a more integrated and sustained regional market benefiting both national economies and a larger consumer class given the fact that as of now, the region is better connected through trade patterns with Europe and North America than it is with itself.